In the middle of the northern terrace is a small, somewhat unique prayer hall called Wiharn Yod. The wiharn is unique in its Greek cross plan and its Chinese porcelain decoration. 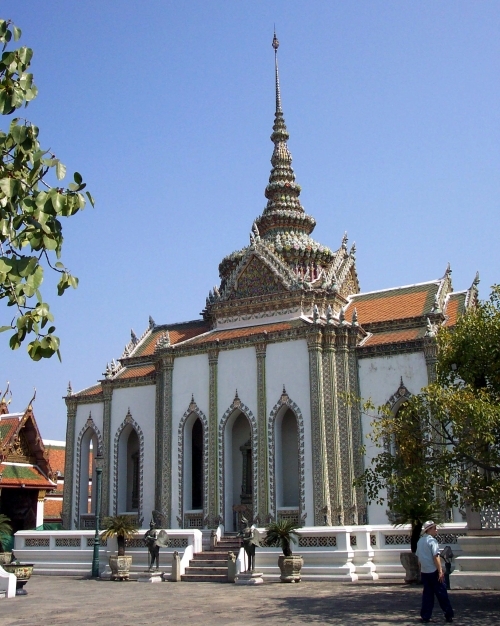 The decoration suggests that the building dates from the time of Rama II, when such styles were the most popular. The main doors to the wiharn are inlaid with Mother of Pearl, whose shimmering colors seem to complement the Chinese porcelain exterior decoration. The wiharn is always closed to the public.